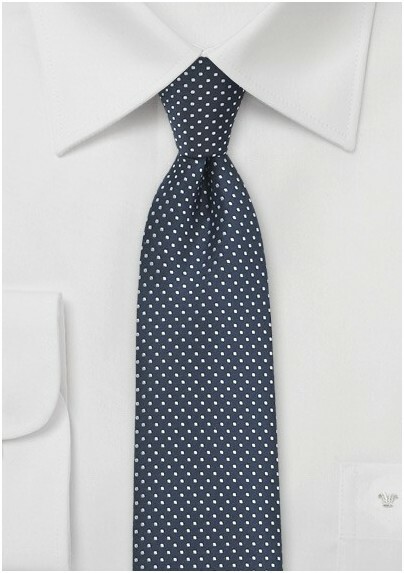 This dark navy necktie sports a luxurious texture that's accented by embroidered white pin dots, prefect for formal occasions and wedding parties. This piece looks outstanding with suits or tuxedos in black or gray. 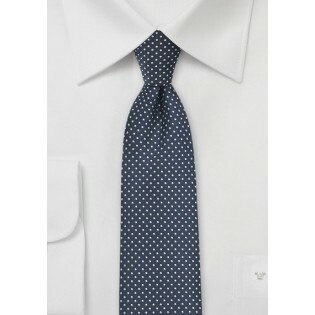 Puccini has designed this necktie with a quality microfiber that's both resistant to wrinkles and easy to clean. Available in a matching pocket square.